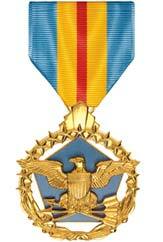 For award by the secretary of defense for exceptionally meritorious service in a duty of great responsibility. 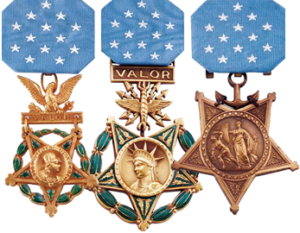 The Defense Distinguished Service Medal is awarded by the Secretary of Defense to high ranking military officers for exceptionally meritorious service in a duty of great responsibility with the Office of the Secretary of Defense, the Joint Chiefs of Staff, Defense Agencies or for other Joint Activities specifically designated by the Secretary of Defense. The DDSM was established in 1970.